Where did the summer go? Kids have started or will be starting school Tuesday. The last official summer holiday, Labor Day is Monday. Do you have guests, need items to take to a cookout, picnic, family get together or for yourself? 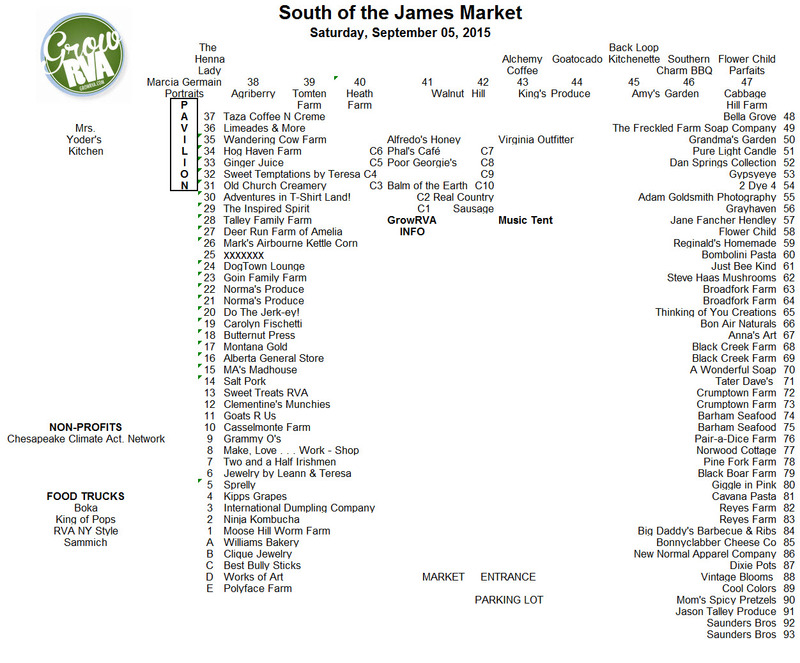 What better way than to show off RVA to guests than by attending GrowRVA South of the James Market. We have you covered. Black Boar Farm – will have Genuine Virginia country sausage links, sage, hot and mild Italian and plain sausage links. Real Country Sausage – always set up in the middle of the market providing sausage biscuits and packaged meat for you to grill. Grammy O’s Sticky Buns will have Apple Pie Sticky Buns for you. 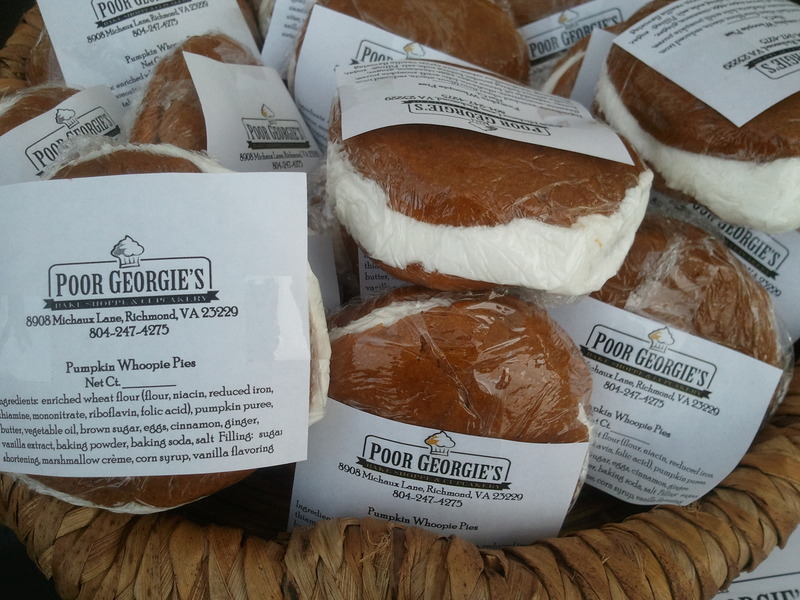 Poor Georgie’s Bake Shoppe is beginning their Fall snack line with Pumpkin Whoopie Pies, Oatmeal Raspberry Bars, and Dirty Blonde Brownies. International Dumpling Company – will be debuting their newest seasonal variety: Fresh Caprese Ravioli! These tender ravioli are filled with roasted heirloom cherry tomatoes, fresh torn basil and shredded mozzarella cheese. These will only be available while tomatoes are in season, so stop by early to get yours! 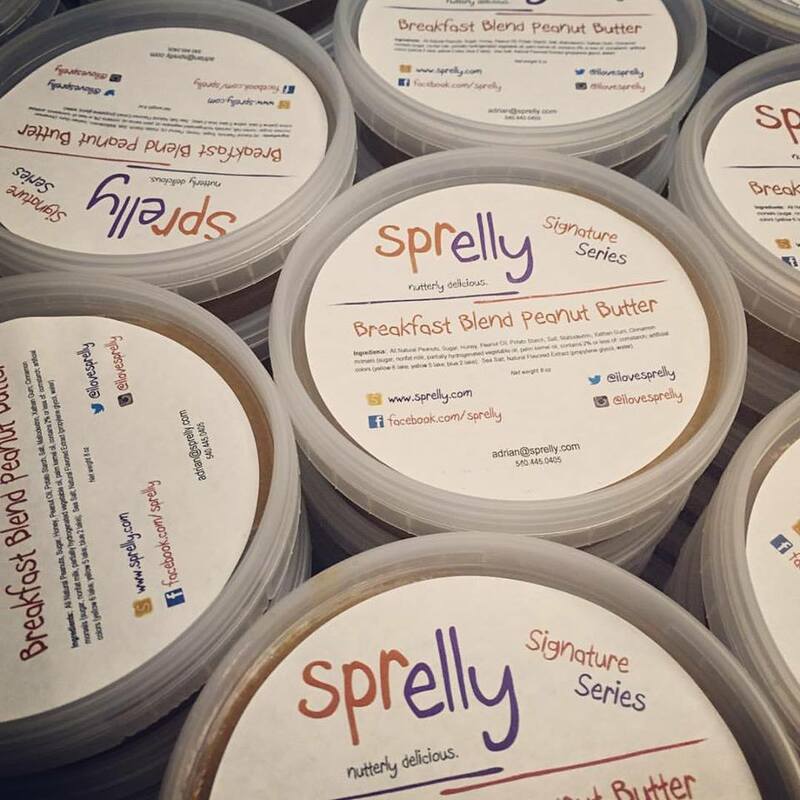 Sprelly – Come try their Breakfast Blend Peanut Butter. Peanut Butter?! Enough said. MA’s Madhouse – looking for diversity in jewelry. Stop by and find something for any and everybody. Jewelry definitely makes a day brighter. 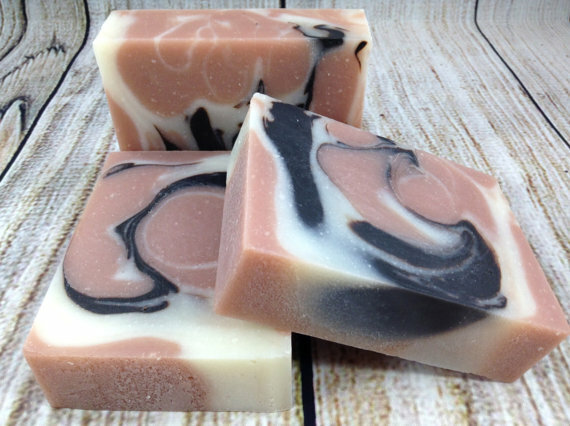 A Wonderful Soap – cleanliness is definitely a must, so why not buy it locally. Stop by and get your smell on. As always, please make safety a priority by obeying all traffic signs and watching your speed. Looking forward to seeing you tomorrow, 8 -12.